For most of us, cooking a turkey is a once a year event and can be a bit intimidating. But let’s face it; it’s just a big chicken. 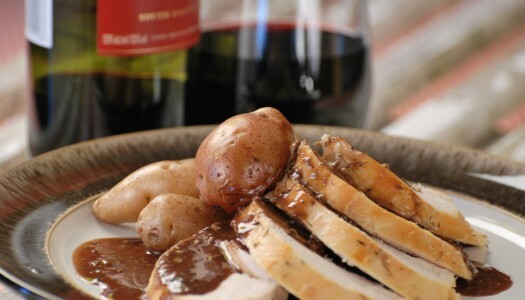 So let’s make it easy, get it in the oven fast and have some fun with the gravy! 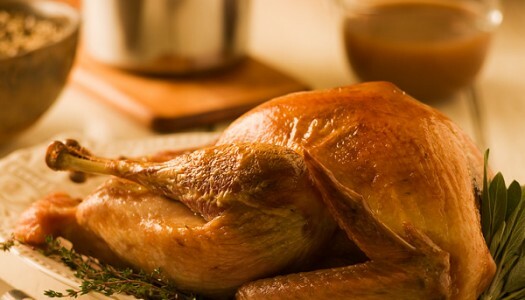 What’s the secret for your best-tasting, juiciest holiday turkey ever? Brining is a centuries-old trick that the pros use. Soaking the turkey in salt water is simple and it really works. Brining encourages the tightly wound proteins in the meat to uncoil, bump into each other and form a web of sorts that sets in the heat of the oven, trapping flavourful moisture. Don’t worry though, you don’t have to be a scientist to appreciate how tasty this turkey will be.